The Indigenous People of Biafra (IPOB) has accused the federal government of being ignorant of the meaning of terrorists. 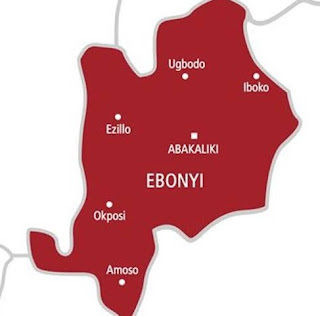 This was made known in a press statement by the Awka district leader, Mr Henry Anagbogu, the group charged the federal government to immediately unproscribe her to let her conduct meetings of the members of the group, which have always been peaceful. The statement reads in part, “The latest and shocking as well as the labelling of the peaceful Indigenous People Of Biafra(IPOB), as terrorists, ignoring the real terrorists ranging from Boko Haram to the Fulani Herdsmen and the gruesome killings and attacks these hardened terrorists have conducted across the country. “They call us terrorists when no life was lost in all of IPOBS’ peaceful processions and rallies. Rather this same government brought death on us, shooting at us on exactly September 14th 2017 and even up to date still kill and marginalize Ndi Igbo. Onubogu challenged the Federal government to immediately release its abducted leader, Prince Nnamdi Kanu, saying that his continued detention will not deter the group or make their resolve to actualise Biafra wane. “They even abducted our leader, Prince Nnamdi Kanu, in order to put IPOB in disarray. But we say they can’t because what we fight for is a just course which we know that the outside world is seeing. We are stronger and our flag is still flying and will continue to fly until we actualize our aim. “The Nigerian government should fight the real terror that happen every day in the country, the Fulanis take our lands where we plant our crops to graze their cows and cattle. Meaning that in the so-called Nigeria, cows and cattle’s lives are valued more than the lives of its citizens.